* Roma entrepreneurship: a possible solution to labour market discrimination and exclusion? The European Roma Information Office (ERIO), in cooperation with the European Economic Social Committee and with the support of DG Justice, Consumers and Gender Equality of the European Commission, is organising a conference “Roma entrepreneurship: a possible solution to labour market discrimination and exclusion?” which will be held on 8 June 2017 at the European Economic Social Committee, 74 rue de Treves, 1040 Brussels (room TRE 7701 (7th floor), from 09:00-16:15. 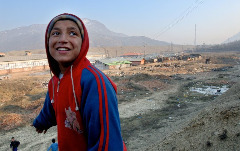 The United Nations secretary general António Guterres has expressed profound regret for the fact that hundreds of ethnic Roma were poisoned by the toxic debris and disabilities of children while they were living in camps that were under the protection of the peacekeeping mission of the United nations in Kosovo. No individual apologies or compensation were offered. The UN has announced that a trust fund will be created to raise $5 million for projects which aims to help Roma, however, the relies solely on the contributions of international donors. Critics argued that the UN has failed to recognize the failures of its mission and the sexual abuses by its own peacekeepers and for the introduction of cholera in Haiti which resulted in many casualties such as infections and 9.000 dead. Agence France-Presse reports that the chair of the ultra-right "National Party for the Salvation of Bulgaria", Valeri Simeonov, was appointed head of the country's Council on Ethnic MInority Integration on 26 May, which is in charge of relations with the Romani and Turkish minorities there. The party is a member of an alliance of nationalist parties called "United Patriots" which, together with the "Citizens for the European Development of Bulgaria" party (GERB), which won the elections in March there, is forming a new governing coalition. 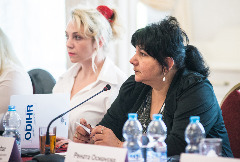 Some 40 participants from the national and regional authorities, Roma and non-Roma civil society organizations and international organizations explored solutions to problems Roma men and women face in accessing identity documents.